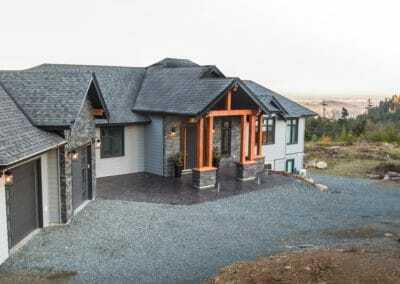 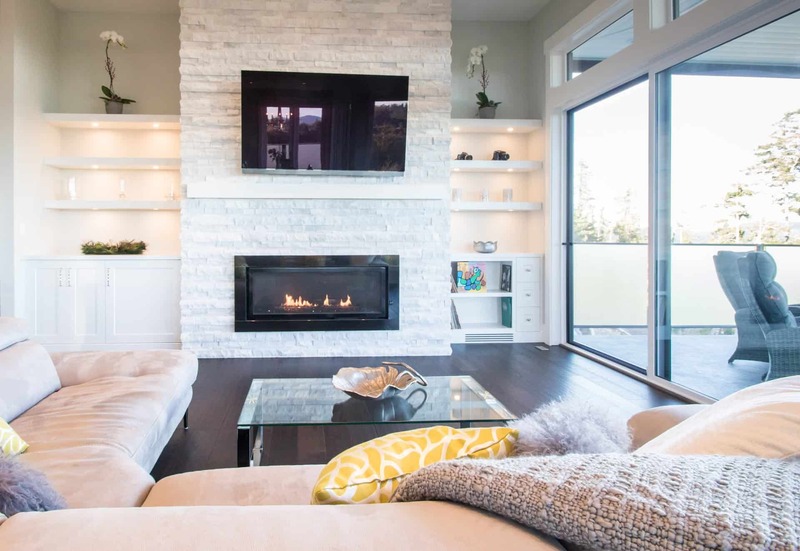 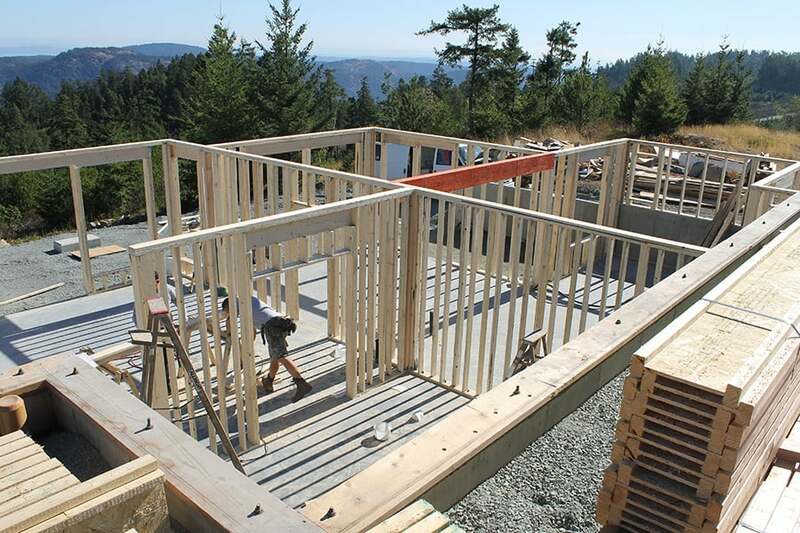 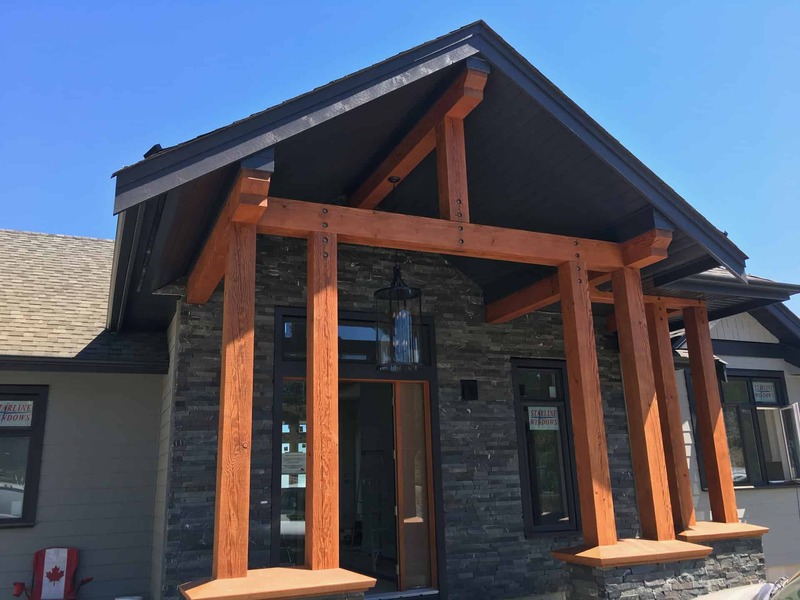 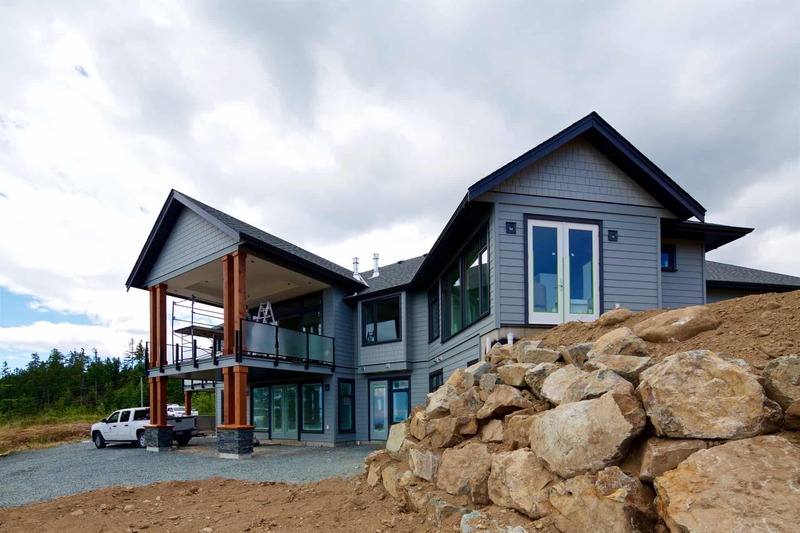 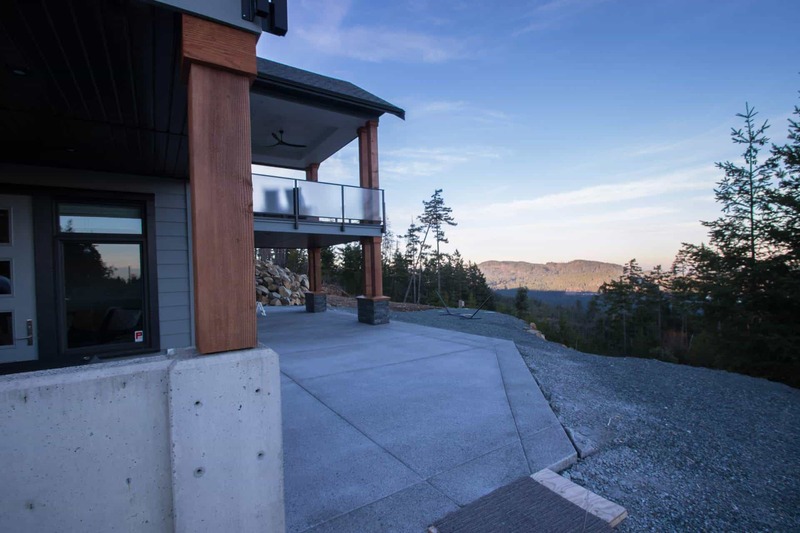 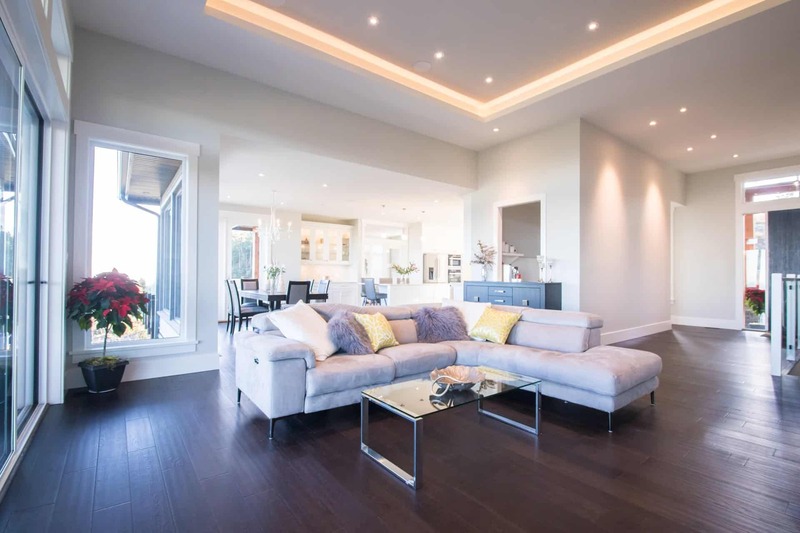 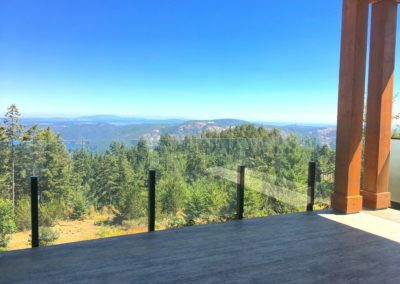 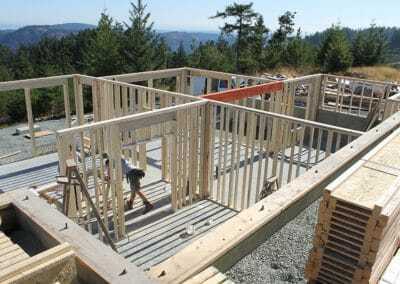 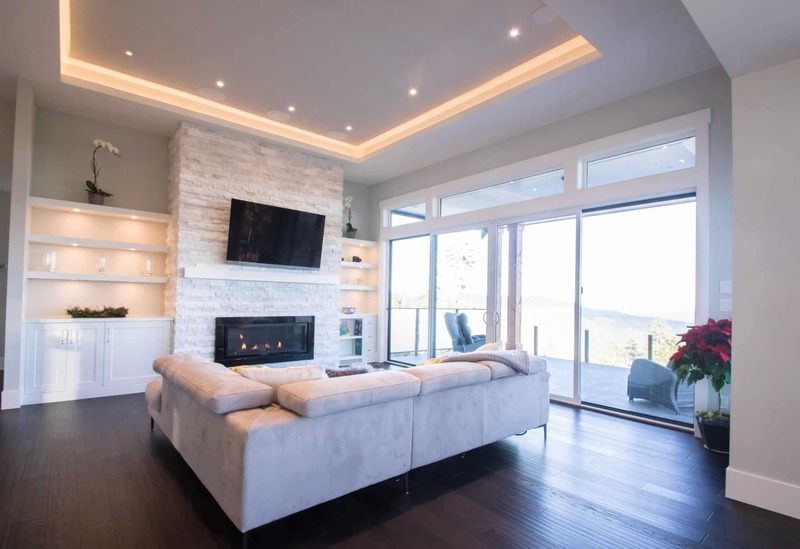 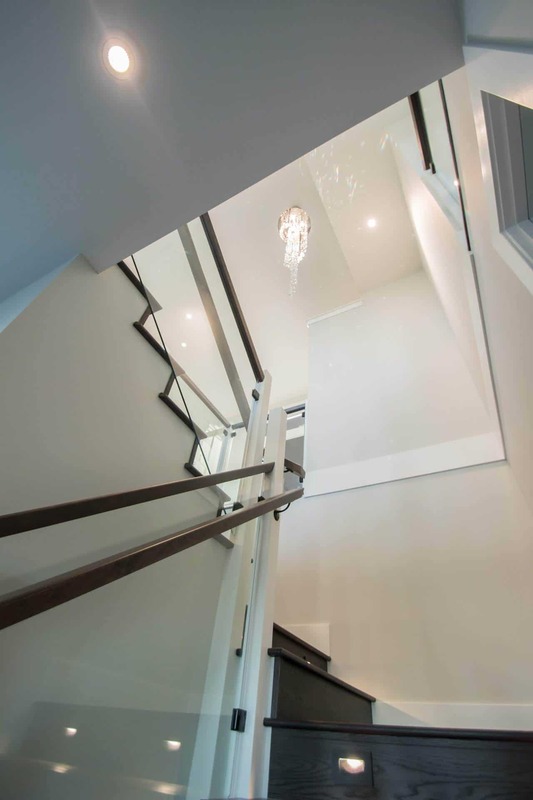 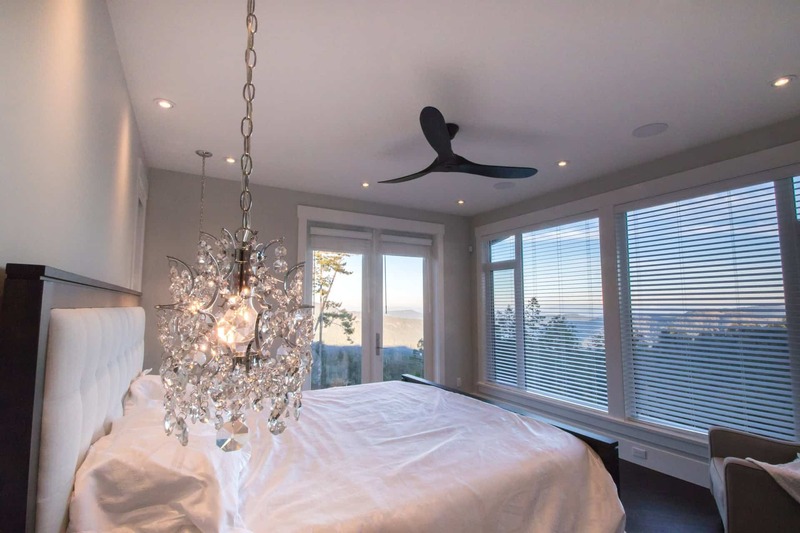 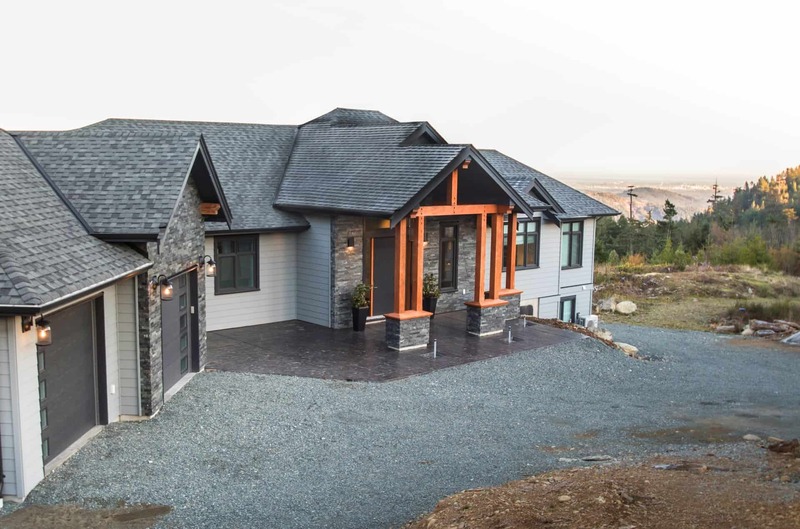 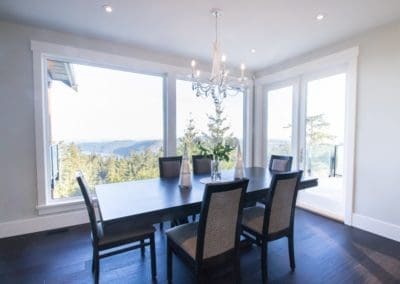 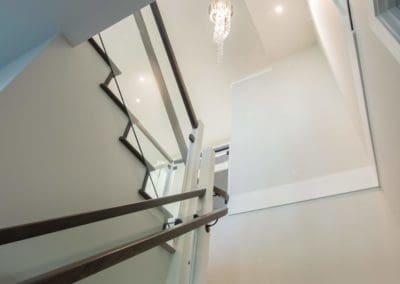 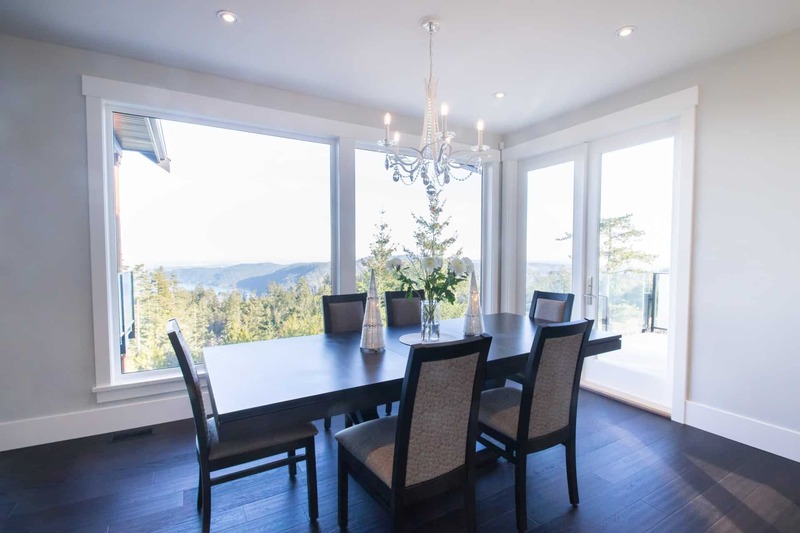 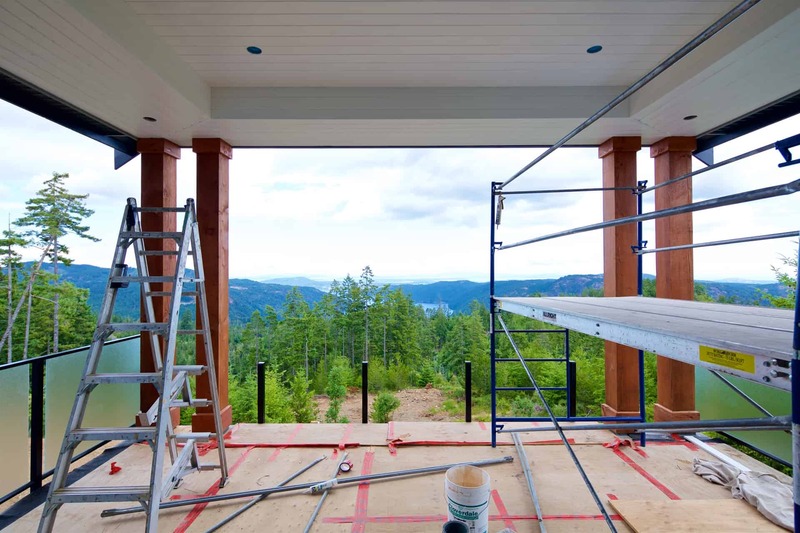 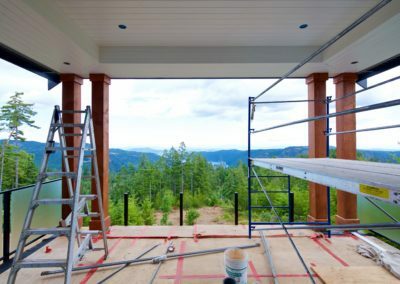 This custom home was built in the Goldstream Heights area of Shawnigan Lake, for clients from Winnipeg who have made the leap to Vancouver Island. 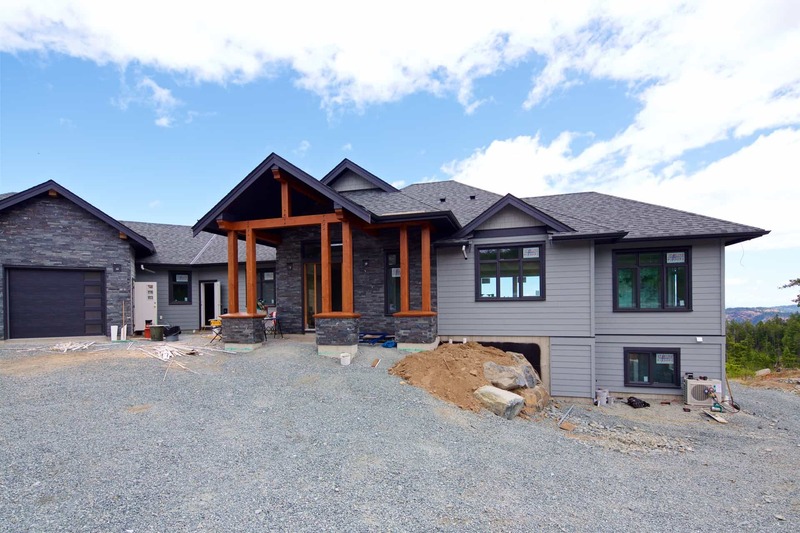 Their dream home is a traditional craftsman style house with many contemporary attributes. 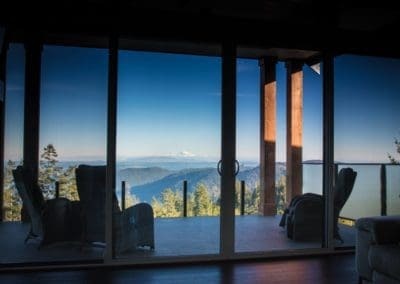 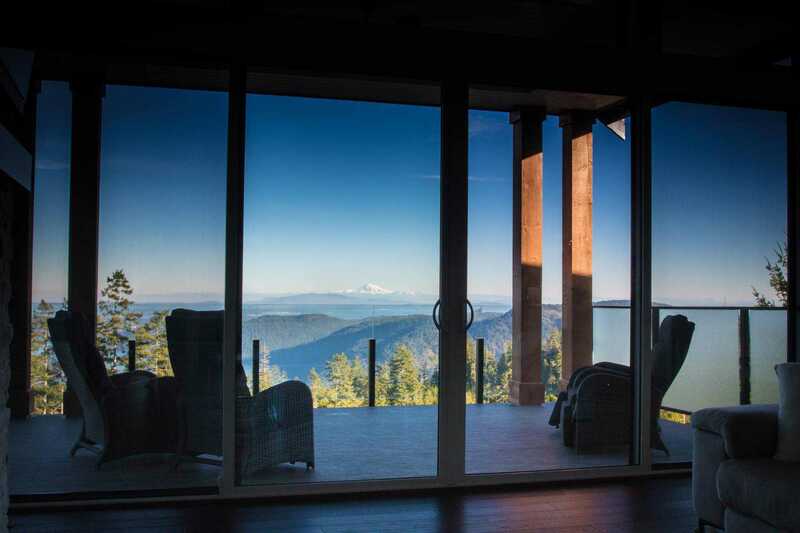 It sits up high on a mountain, and has commanding views of the entire Puget Sound. 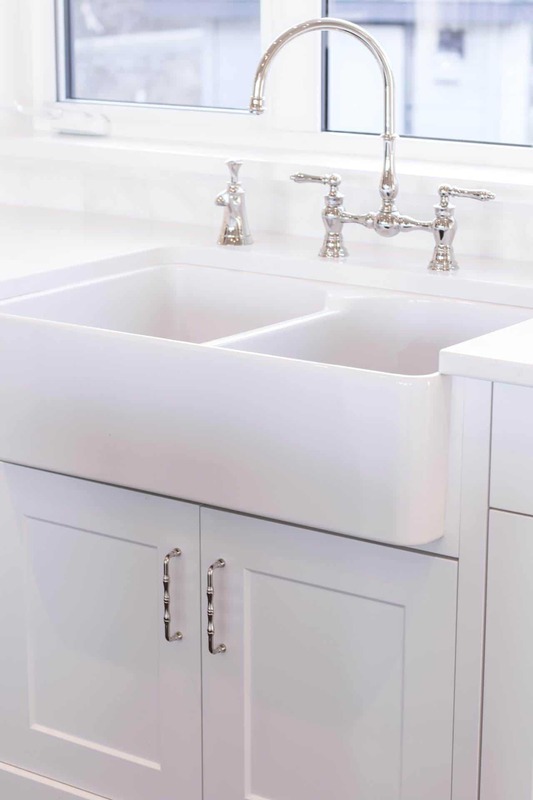 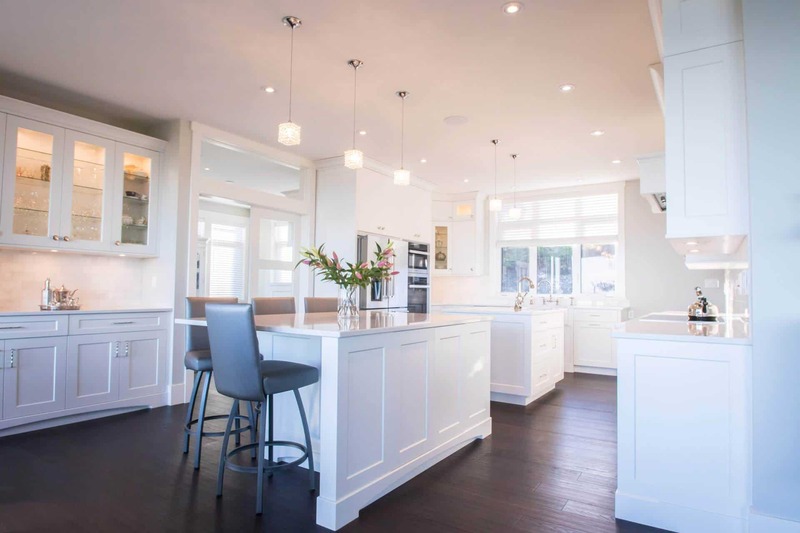 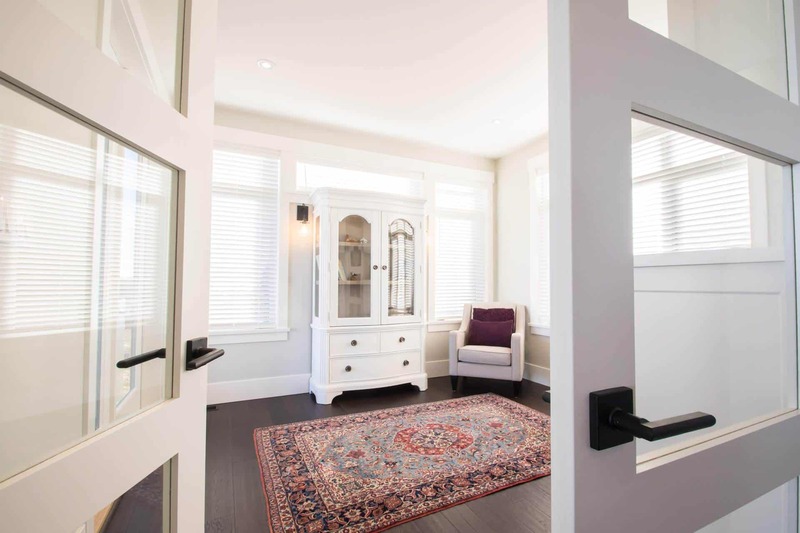 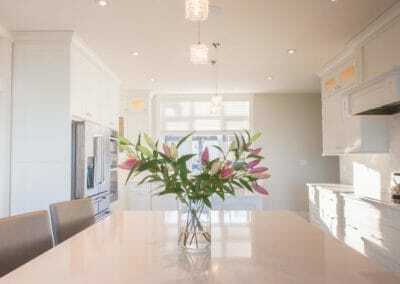 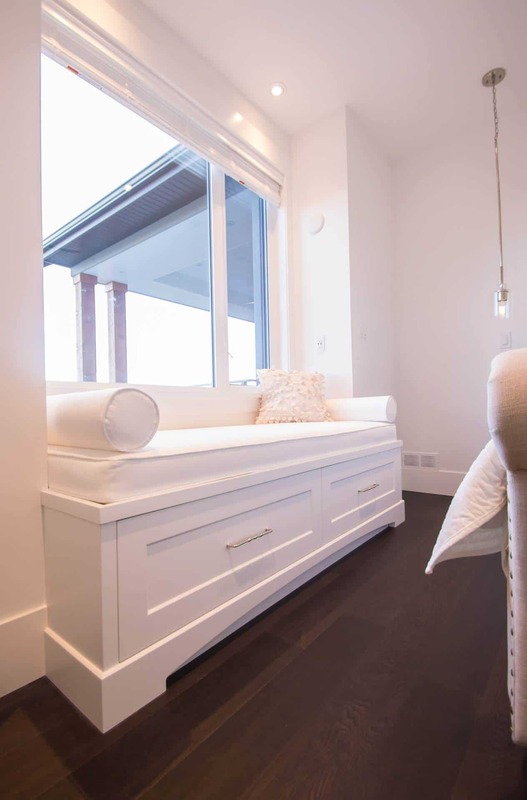 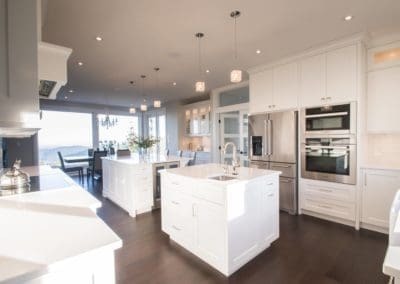 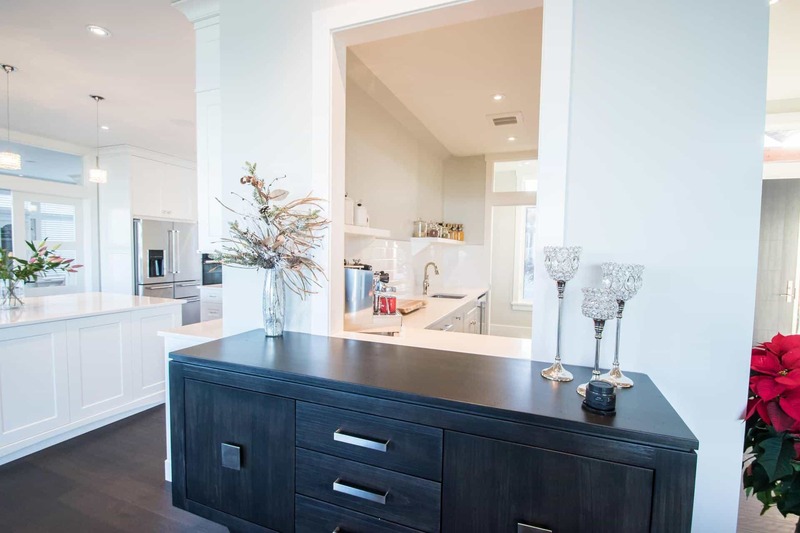 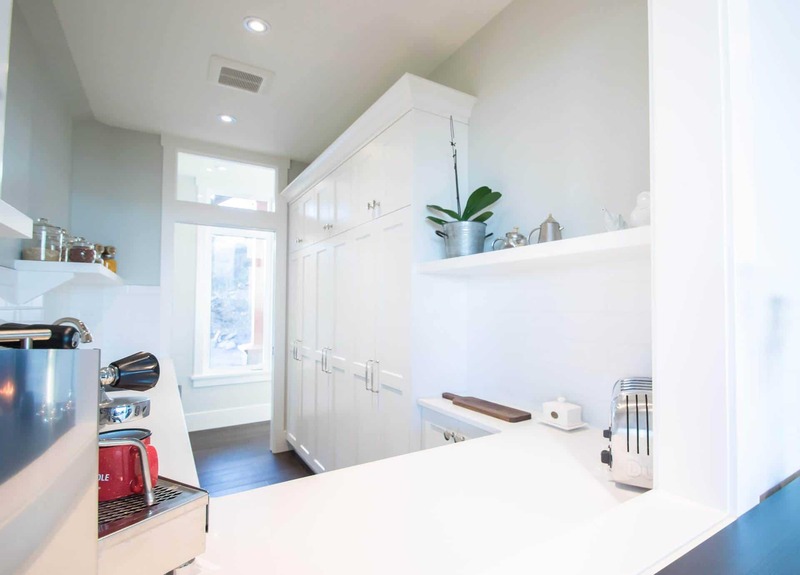 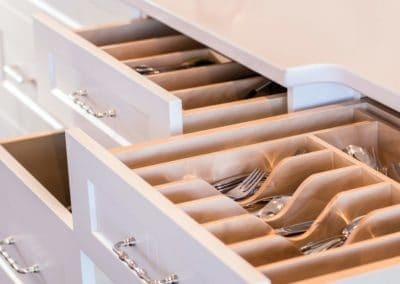 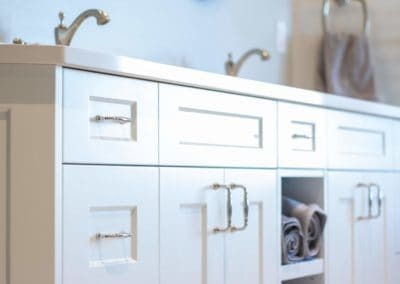 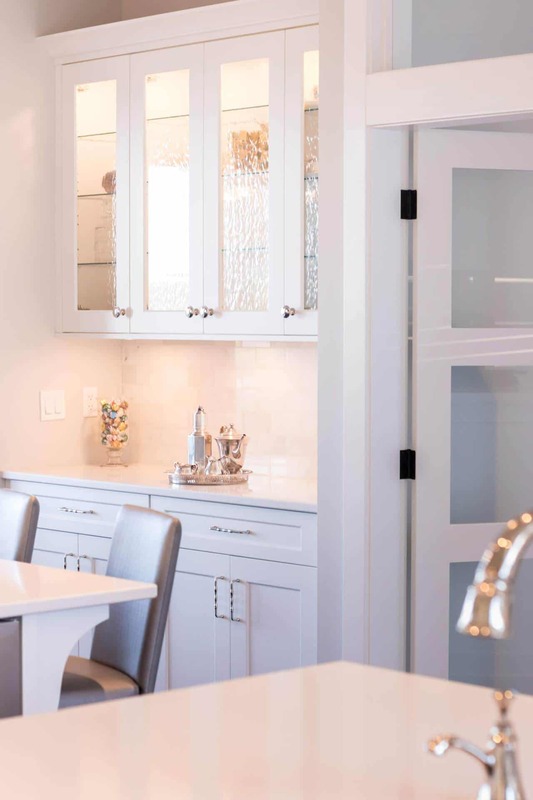 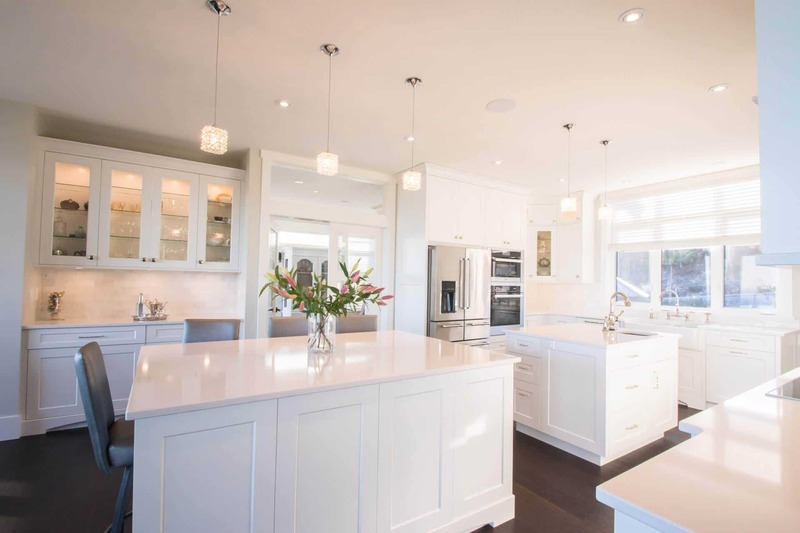 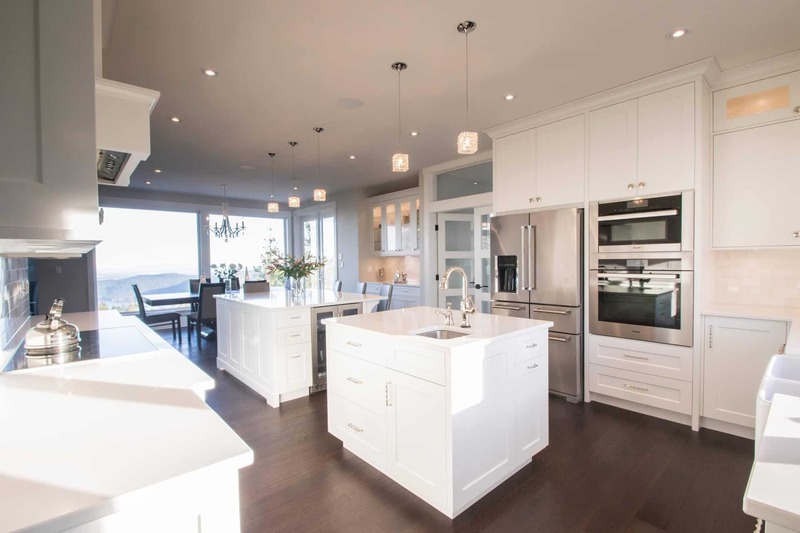 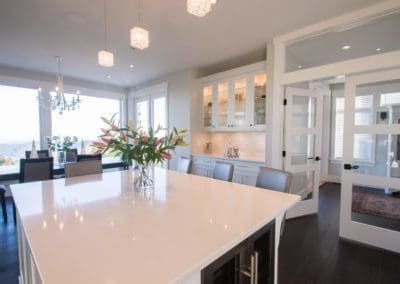 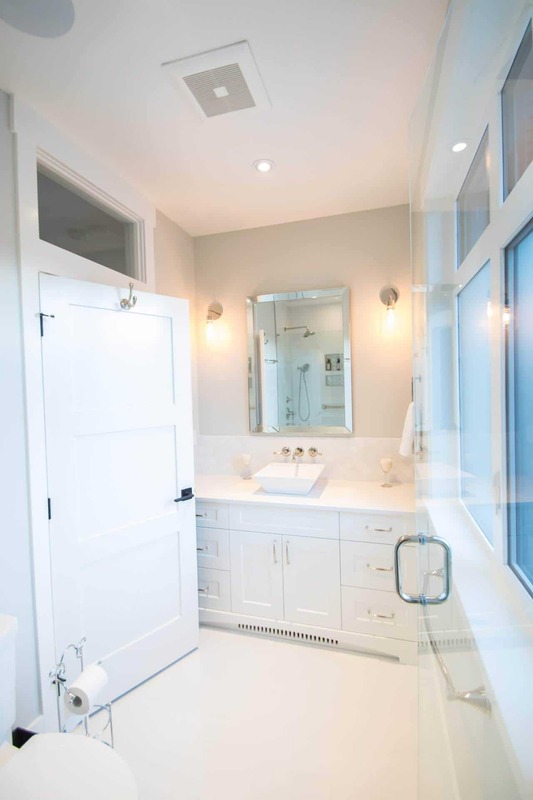 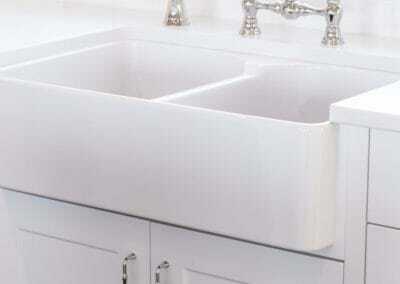 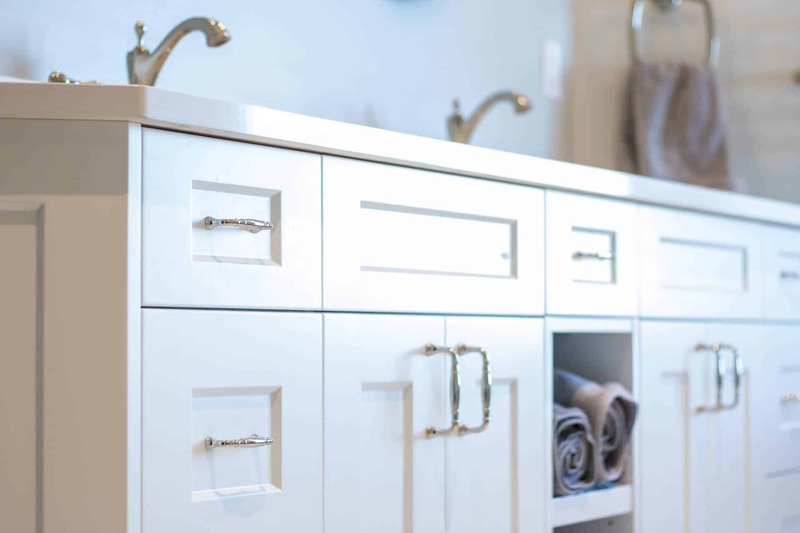 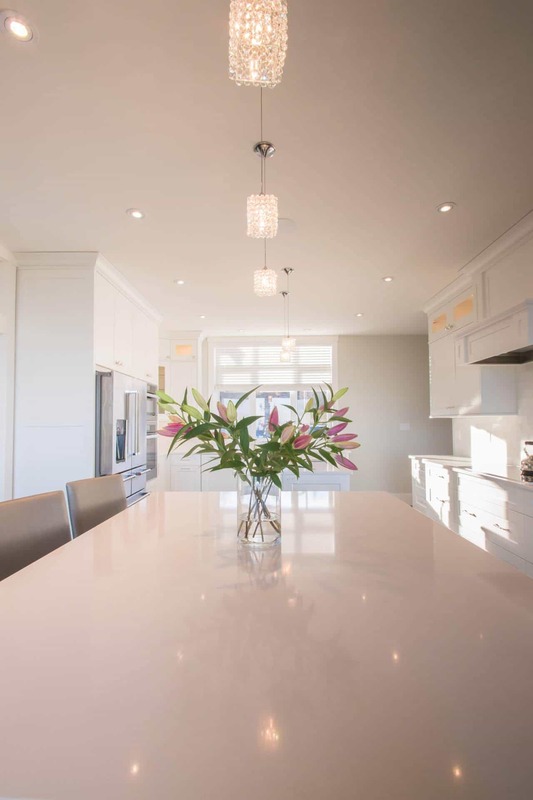 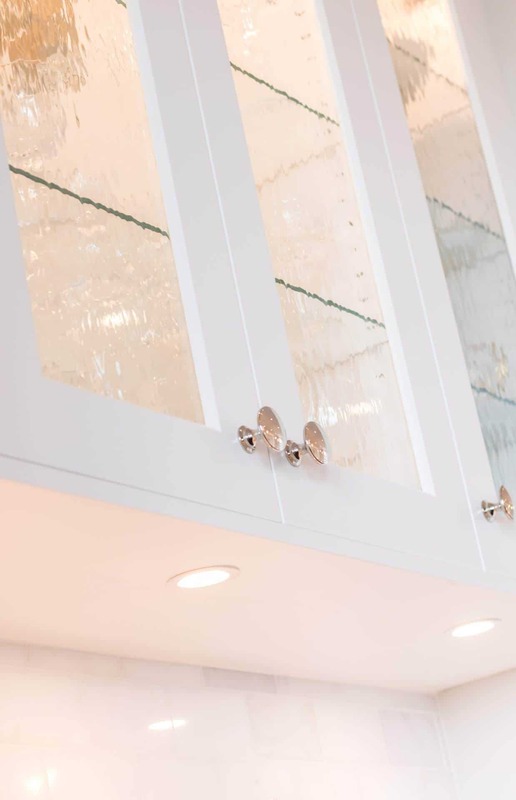 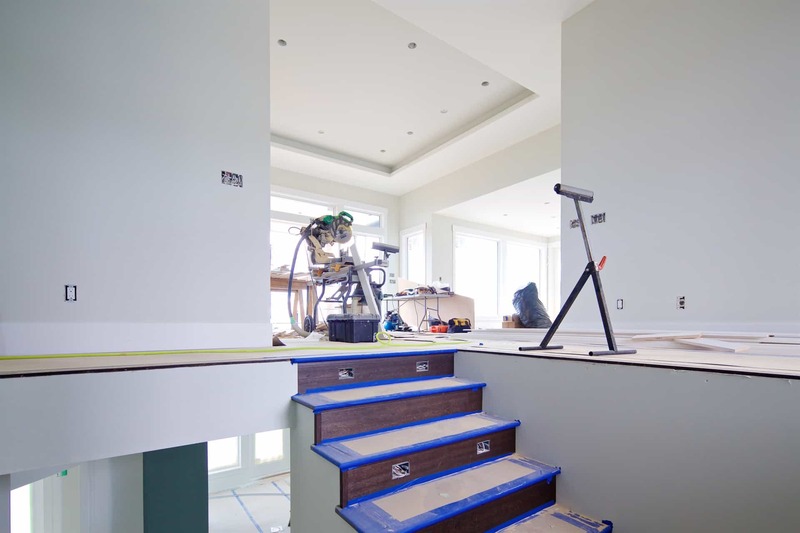 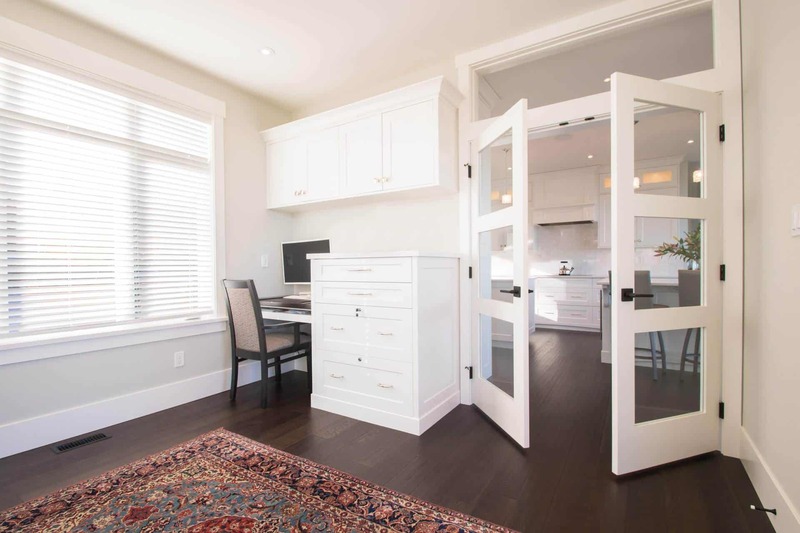 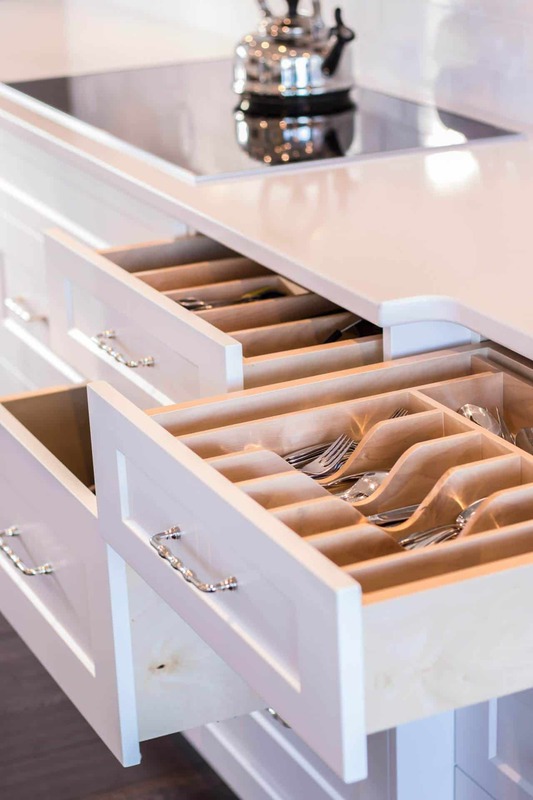 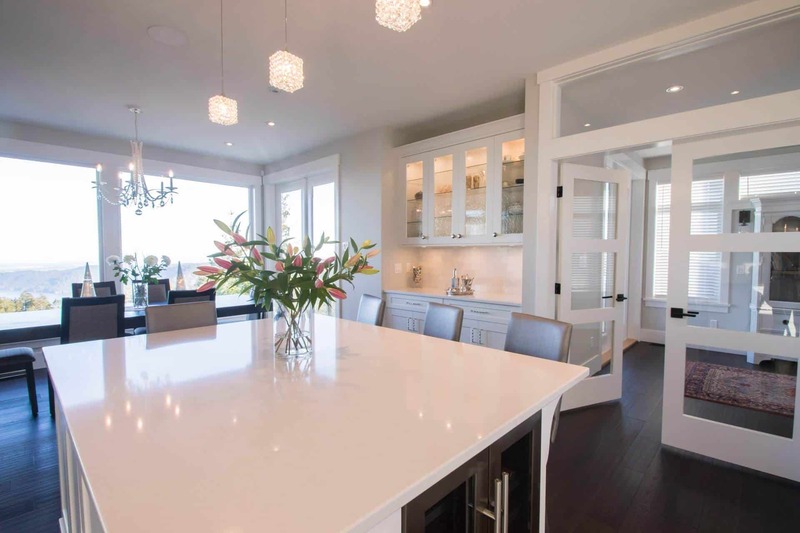 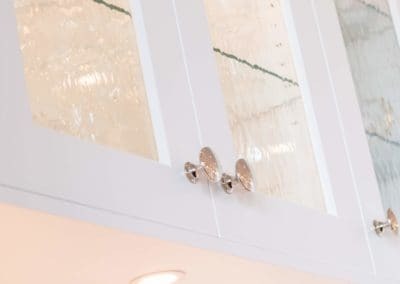 The custom cabinetry by Cowichan Woodwork is remarkable, with cabinets in almost every room of the house. 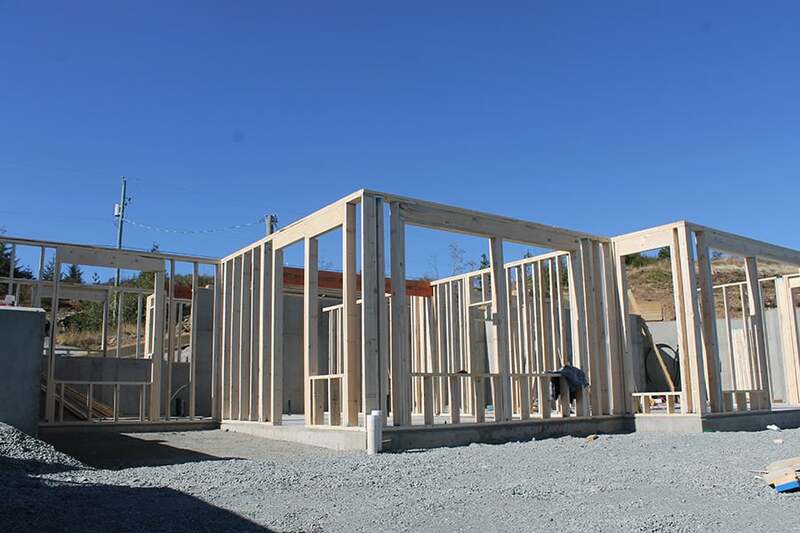 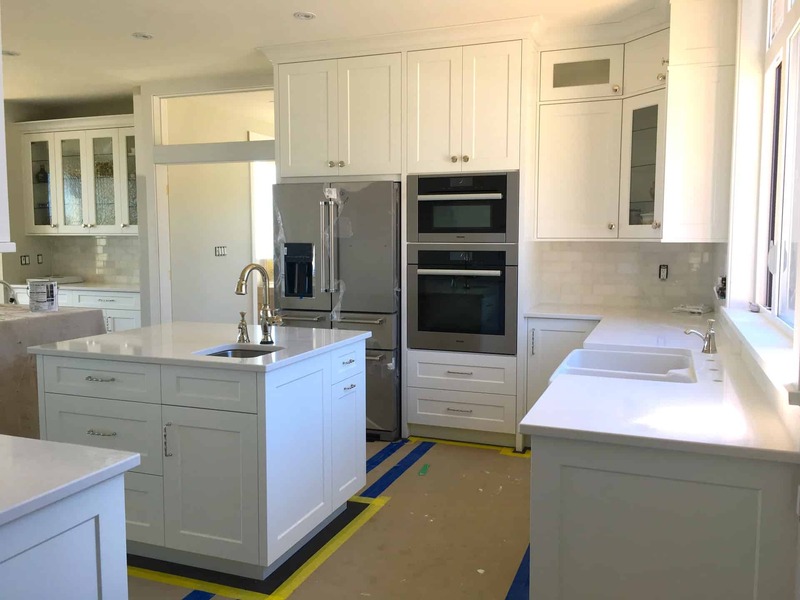 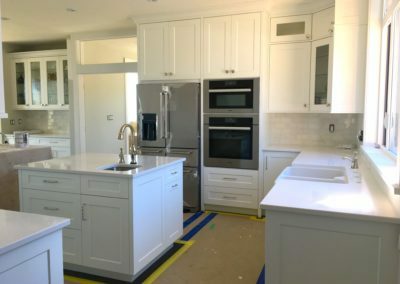 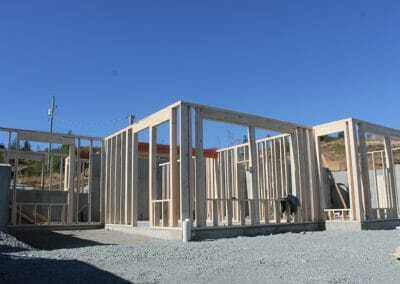 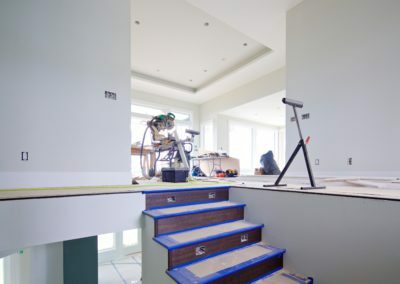 This home was completed in September 2018. 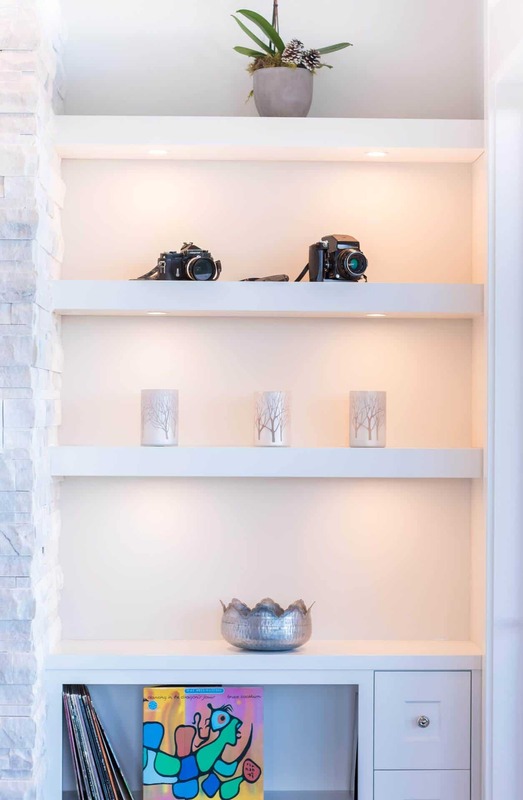 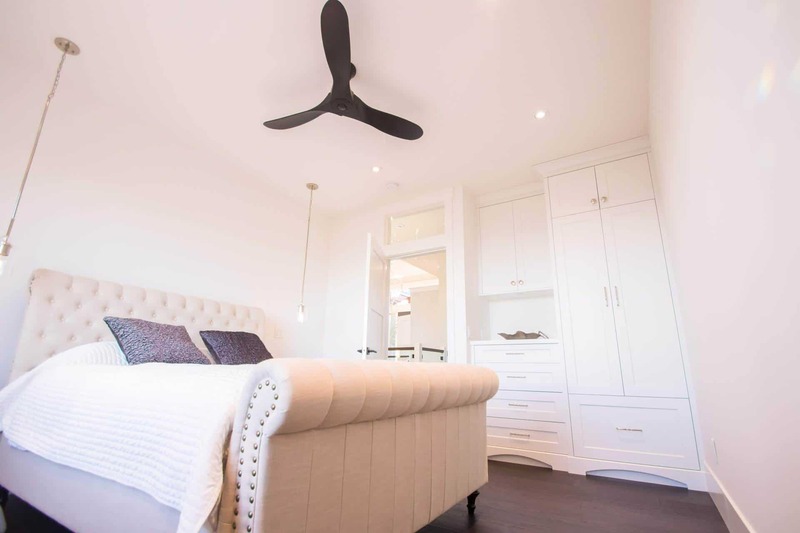 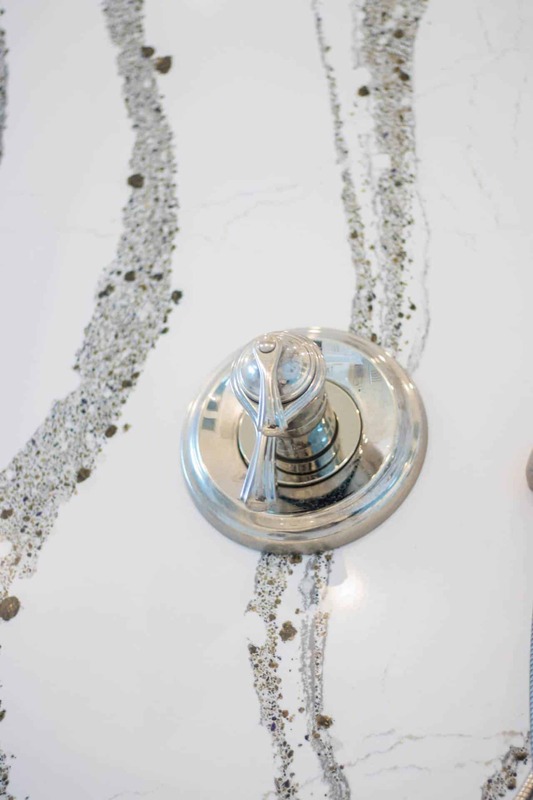 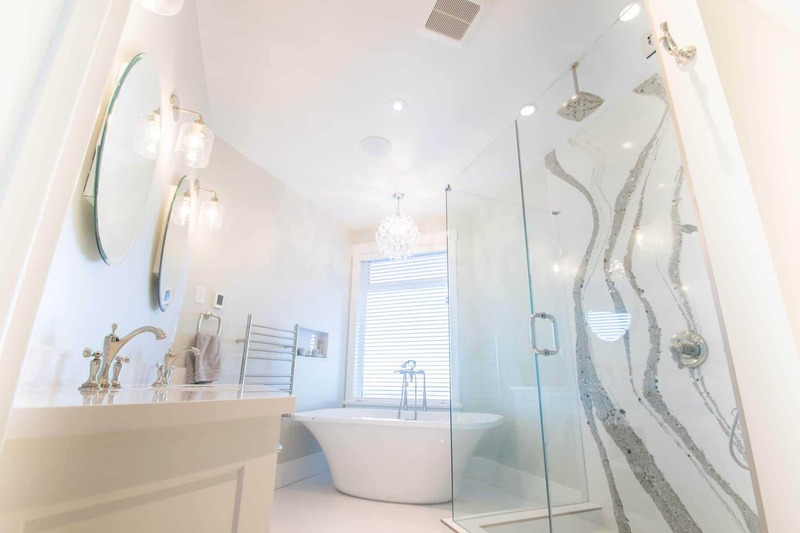 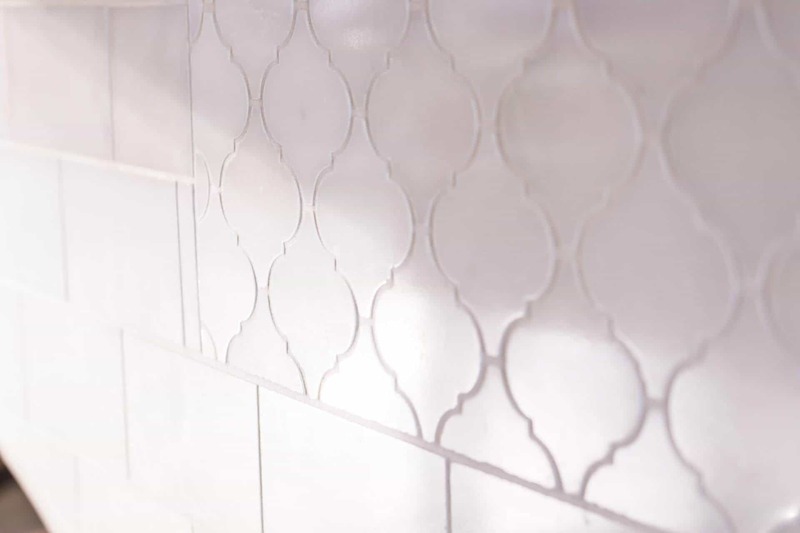 Interior design for this home thanks to Tina Mozier Designs. 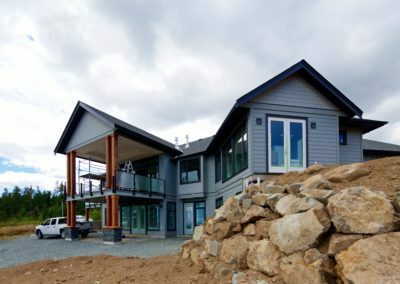 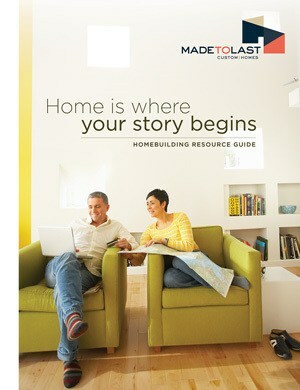 House design completed by Pacific West Home Designs. 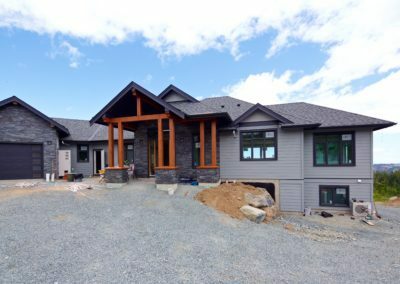 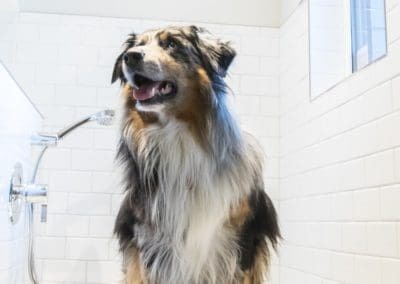 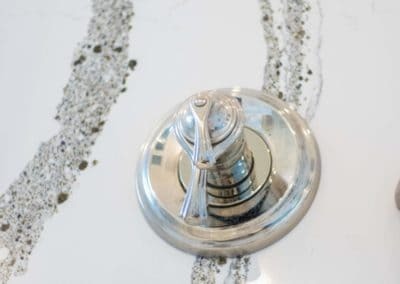 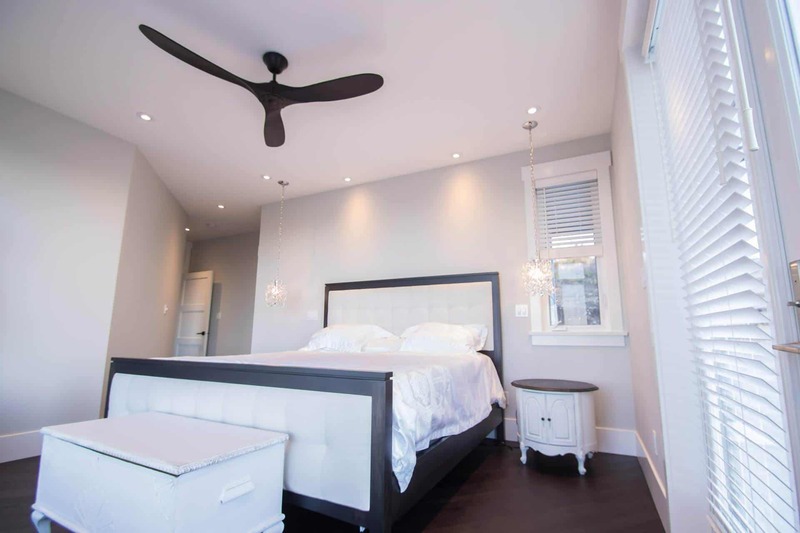 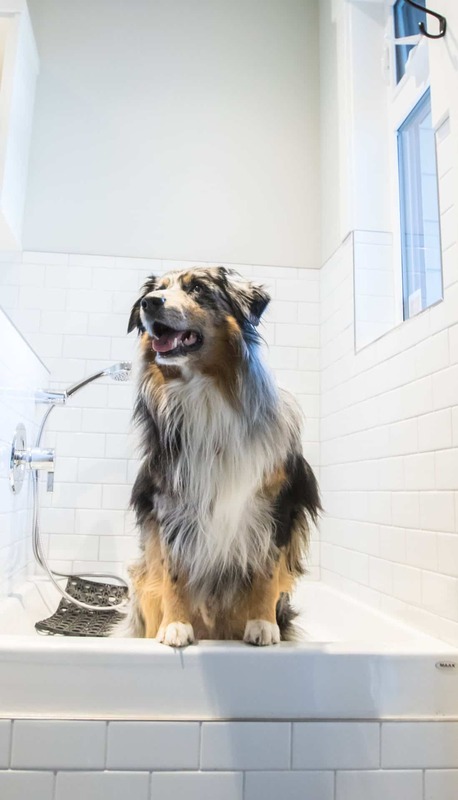 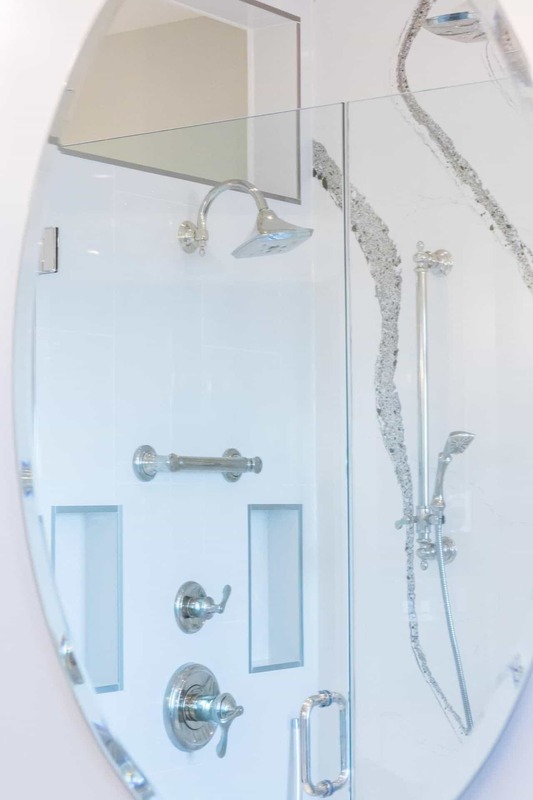 Some special features include a pet spa, a soundproof recording room, secondary suite designed for VRBO rental, and a large custom glass doors leading onto a covered deck. 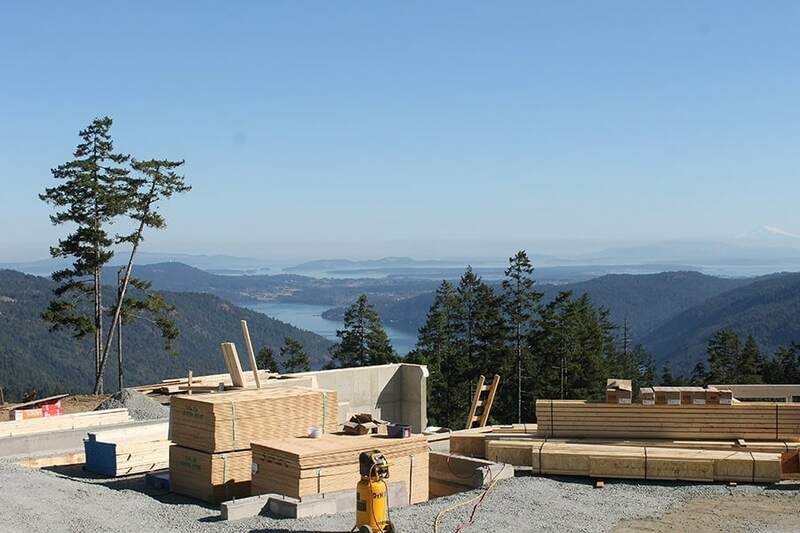 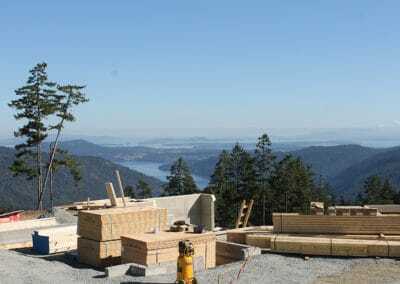 This five-acre parcel has stunning views of Brentwood Bay, the Gulf Islands, Mount Baker, Victoria, and the Olympic Mountains.